In music they talk of the ‘difficult second album’, matching or bettering a previous work. It is of course subjective. To one person a riff could be art, to another, nothing more than offensive noise. Football is more clear-cut in that there is always a definitive result but the process of winning a game remains open for interrogation. This is where Louis van Gaal finds himself now. He’s roughly 15 months into his spell at United and after achieving the absolute minimum in his first season, there is already an air of impatience amongst the fanbase. Just how do we assess the progress the club is making? Money, the game has become riddled by it. Everyone wants it and everyone is judged by it. Yes, United have spent a lot of money in the last few years but that also means it’s a lot of players to have to integrate into a new club. Football has already moved on from the investment Chelsea and Man City had; so many clubs can now afford to pay over the odds that spending big doesn’t necessarily guarantee an association with success. It’s why Crystal Palace have a player on £100k a week and Aston Villa have a teenager who’s played less than ten top-tier games set to earn £75k a week. In United’s case the spending has to be placed in some context. 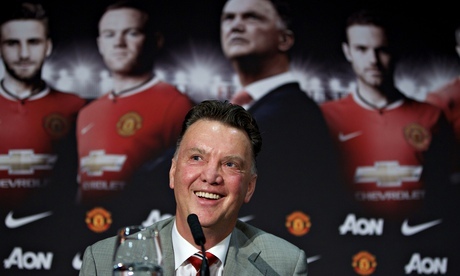 Louis van Gaal has overseen the departure of 24 first team players in just over a year. It’s a huge turnover of playing staff. By comparison, the likes of Arsenal, Chelsea, Liverpool, City and Spurs have only sold or released that kind of volume of players over the last 4-5 seasons. You can then delve a little deeper and look at some of the players that have been brought in, has it been money well spent? Di Maria aside, most are success stories even in the case of Luke Shaw who took a year to adapt and settle in. In today’s market both Darmian and Blind have been astute purchases whilst Schneiderlin appears to now be getting into the groove with very strong performances in recent games. Memphis Depay has come under enormous scrutiny and has been very poor in his early months but the examples of Shaw and Martial show it can take a young player any kind of period of time to settle into a club. So all things considered, United haven’t really spent badly and if anything, could do with spending more. You may of course wish to point to underinvestment in the team under Ferguson to justify spending the money but that shouldn’t matter. United generate their own funds and should be able to spend them how they please, particularly given where the money could end up if not spent. There’s the impression that van Gaal isn’t an indecisive person. In cricketing terms, he plays with a straight bat whether it’s dealing with the media or telling a player his future at the club is bleak. And yet here is a manager who’s changed his system and combinations almost monthly. Variations of a 3-5-2; 4-2-3-1 and 4-3-3 have all been used with the latter coinciding with United’s best form last season. Within those systems different players have thrived in different roles. Last season United were often at their most dangerous with Carrick deep in the middle, Herrera buzzing around him and Fellaini close by putting himself about. Despite that, those three players have only started one game together this season and that was against Liverpool when Fellaini was used as a striker. In the number 10 role already four players have been tried there. The centre back pairing in pre-season was Jones-Blind; that became Smalling-Blind for the start of the season; and has now become Smalling-Jones. In the centre midfield area United at long last have options but Carrick has struggled, particularly alongside Schneiderlin who also likes to sit deep. United look strong and hard to break down but at home it feels like the right combination is yet to be found with the idea of two defensive minded midfield players making the team just too cautious. So much so that in recent games it’s been Fellaini of all people who’s looked like a good option to pursue. It’s in the attacking areas that the toughest decisions are still yet to be made or even properly tested. The pace of Lingard has been refreshing lately but it’s been at the cost of Mata’s craft. United’s best winger last season, Young, has been pushed to the periphery by Depay and now Martial. One suspects that it all revolves around Moyes’ legacy, Wayne Rooney. Poor David Moyes, he couldn’t really afford to lose Rooney but at the same time by tying him down to United until 2019 he’s dropped the club in the brown stuff. It leaves van Gaal with his biggest decision to make yet. Rooney is an excellent captain, loved by the players and respected by them. His 14 years in top flight football haven’t just caught up with him though, they’re suffocating him. It’s hard to watch because here’s a player who’s clearly trying his utmost to be as good as he can be and yet it’s a struggle. Everything’s happening that split-second too quickly for him and by the time the ball is out of his feet and he’s seen where to play it he’s rushed by a challenge and gives it away; or he’s trying to take in the movement around him as a ball is fired in so he knows where to turn but he can’t do it in time and the need to rush means his touch isn’t good enough. The trouble with Rooney is that dropping him would be a massive call to have to make. Not because it’s a case of wrong vs right but because of who he is. Captain of club and country with over three years left on his contract as the highest earner. To the fans it’s an easy decision – Martial up front, maybe Young on the left, Mata on the right and Herrera in the middle – or something like that. United’s focal point in attack cannot afford to be Rooney for much longer. Van Gaal made the decisions with van Persie and Falcao last season and must be cursing his luck. Four of the best attacking players of recent years have all performed well below par for him at United; he wasted no time in removing three of them from the club. If he decides to try without Rooney for a few games it could be pivotal but that’s just one of a few decisions he has to make for the balance of the team and where he wants pace and where he wants power and where he wants precision. 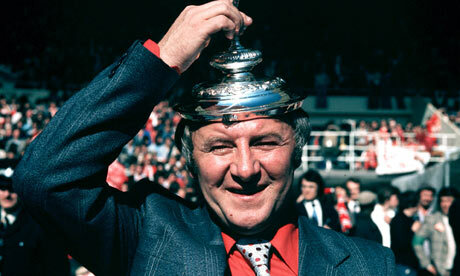 As fans we associate United with attacking football. For much of Ferguson’s tenure that’s what we got. Pace, goals and entertainment. The relationship with such a mind-set goes back much further but it’s missing right now. 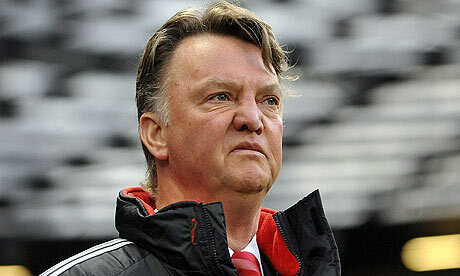 Van Gaal is more focused on control and being clinical. It’s something fans might eventually adapt to but for now United make scoring look difficult. So does it matter if a team wins or how they win? For van Gaal it appears to be important to make sure the team are difficult to beat and there’s no doubt that he’s added solidity. The defence are organised and the midfield strong. United have the joint best defensive record in the league. That transition from defence to attack is too slow and ponderous for fans and so it may seem surprising that van Gaal keeps telling the media he is mostly satisfied with how the team are playing and is frustrated that luck appears to not be on our side. Looking at these stats maybe we can see why van Gaal is satisfied. 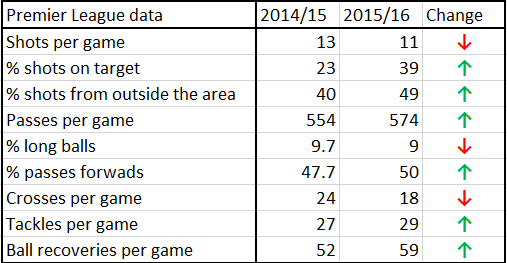 Yes, as it feels, there are fewer shots going in but there’s been a huge increase on the accuracy of them. The manager keeps stressing we have to be more clinical but you can see that it’s coming despite the fact he is allowing more shots to come in from distance (again, it doesn’t feel like the players have the freedom to do that when you watch them but…). In terms of possession, there are more passes, crucially short passes rather than long balls (something he unfairly got criticism for last season) and a deceptively high percentage are going forwards. Maybe it’s the lack of a striker that’s dangerous in the air but the reduction in the number of crosses ties in with the idea that this season is much more about playing a patient game to take advantage of opposition lapses in concentration by working the ball around rather than the lottery of a high ball into the area. And, unsurprisingly, it’s a hard working team with more tackles and ball recoveries than last season. Van Gaal’s style is clearly getting across to the players but is it what the fans want to see? After every game the team fails to win there’s an outpouring of frustration and almost a reminiscing of how it used to be. And yet if the team goes on a run of winning games playing this way will it even matter how they’re getting the wins? 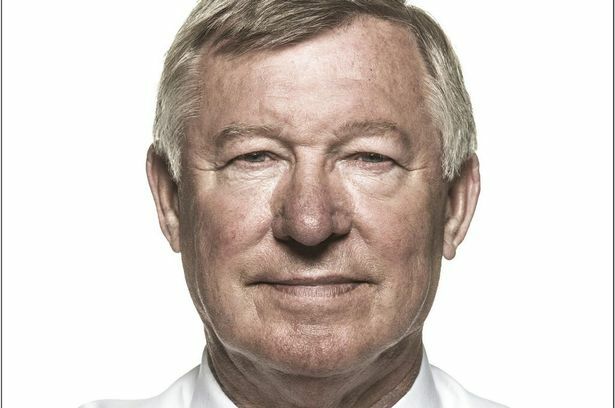 It certainly didn’t seem a contentious issue in Ferguson’s latter years when there were plenty of poor performances (although maybe not quite as tedious as the ones we see now). I was asked on Twitter why van Gaal isn’t under pressure and should he be given time. It’s a good question but easy to answer. For the most part progress in football is measured by results and league position something van Gaal is improving on compared to last season. United are two points off the top of the table and whilst the football is far from inspiring small steps have been taken in the right direction. With de Gea tied down, the defence much more secure and the midfield boasting steel and experience there is progress. The last thing on the list to fix is the attack and that has already begun with the acquisition of Martial. United may not have the pace of Arsenal or the craft of City but they’re hard to beat and will win far more than they’ll lose. Despite insisting he wants a small squad, van Gaal has used more players than any other manager this season. His tinkering and experimenting will need to plateau off with some big decisions made and no doubt more money spent but as long as the table shows a year on year improvement by the end of the campaign most fans will be content enough. His first album wasn’t a classic; his second is likely to be better; but his third album will need to go platinum.